The rise of technology in today’s world is disrupting businesses. Leveraging on technologies to equip HR professionals with knowledge and skills to adapt and transform for tomorrow’s business landscape is crucial to ensure that HR professionals assist the businesses to thrive in assimilating new technologies. Technology has changed the way HR professionals think and do their work. At a familiar level, HR professionals need to use technology to become more efficient like the use of administrative systems to handle benefits, payroll, and other administrative services. The need to use technology in helping people stay connected with each other remains more critical than just handling the administrative task. Hence, using technology to improve communications, and connecting internal employees and external customers will be a critical role that HR professionals need to take on. HR professionals who understand technology will create improvements in organisational identity and improve social relationships. As such it becomes imperative that HR professionals have access to, advocate, analyse and align technology for information, efficiency and relationships. • To appreciate the role HR plays between introducing the right technology for business success. • To understand the different technology that is available to assist in HR Business processes that can reduce the reliance on HR service time and also paper work. • To understand the technology trends impacting the HR Profession. • To learn the skills to develop basic HR processes using available open source platforms. • To understand the essential skills in driving stakeholders buy in for using technology in your business. - The relationship on how technology can be used in today’s business landscape. - Understanding the available technology to be utilised for business success. - Understanding the ROI of using HR Tech for today’s business. - Explore the different technology in today’s world and understand how it can be applied to individual business needs. - Explore the employee lifecycle within your business and look at areas that HR technology can be applied within the processes. - Understand the different capability funding that is available today in Singapore. 3. Developing a simple automation using open source technology. - Using available “free to use” technology to develop a simple automated service for your business. Explore some free technology to use such as hr.my, orangehrm, and also other available tools to use for specific needs of your automation projects. - Explore the different technology that is available to help you drive business productivity. - Be able to identify the areas within HR process that can be automated with technology. - Also get a hands-on in developing simple automation projects that allows them to implement immediately within their businesses. - Be able to understand the available support in Singapore to drive productivity gains for their businesses. Participants will be able to learn new ways to adopt HRTech and how it can have a powerful impact on their businesses. Tan Jian Hong has more than 17 years of experience in Human Resource Management and Development Functions. His human resource roles spans from Government Ministry to Global Multinational Organisations. In his current role of the Managing Partner, he is building a start-up focusing on HR Tech to deliver HR process automation for businesses. Multiple years as a HR professional, Jian Hong is an expert in diagnosing end-to-end business challenges to deliver holistic portfolio of solutions that leverages on the business dynamics and psychological influences. He is a strong HR innovator and integrator that leverages on technology to shape the HR experience and efficiency for the business. 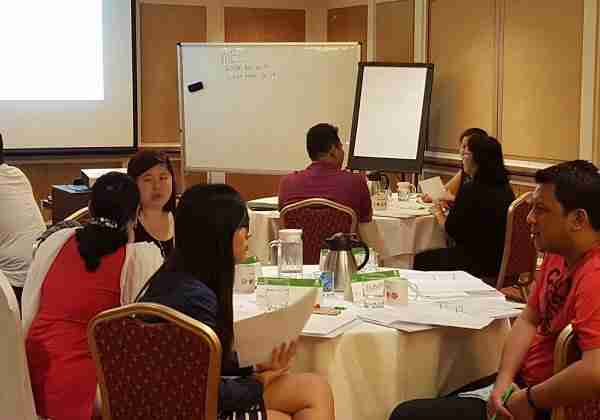 Jian Hong acted as a strategic positioner to exercise his knowledge and skills to translate external HR business trends into internal organisational actions. He built relationships with the business leaders as credible activist to place and builds a trusting partnership in his capacity of a HR Business Partner. Jian Hong is an experienced facilitator with past achievements around curriculum design and delivery. Being a certified Institute of Technical Education (ITE) Industry Trainer, Jian Hong is also an accredited administrator of MBTI instruments and a certified NLP practitioner. Jian Hong holds a Bachelor Degree in Psychology and a Masters Degree in Human Capital Management from Singapore University of Social Sciences (SUSS). He also has a Diploma in Adult & Continuing Education (DACE) and an Advanced Certificate in Training & Assessment (ACTA).